﻿Premium Dual Electric Air Inflator. This product is designed as a powerful, compact, full featured inflator for high speed inflation of one or two latex or foil balloons at once. 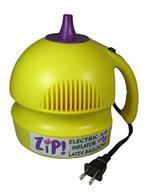 Electric Air Inflator - 120 V - Comes with three balloon size adapters. Portable, battery-powered. 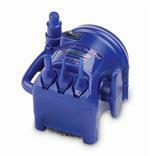 high-pressure inflator quickly inflates 160Qs, 260Qs, 350Qs, 5" Rounds and 6" Hearts. 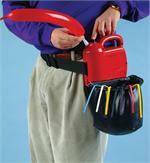 - Includes Inflator, Battery, Charger & Shoulder strap. Belt & Pouch sold seperately. 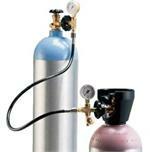 Dual-action inflator has a tapered nozzle for easy inflation of 5", 6", 260Q, 350Q, and 321Q latex balloon. 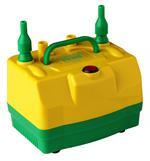 Single-action pump is designed to inflate 260Q and larger balloons. Contains a convenient storage compartment to hold a handful of balloons. 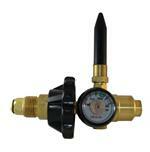 Compact dual-action pump has a tapered nozzle designed to fit 160Q and 260Q balloons. Speed Inflator with Handtight Connection, Gauge, Ribbon Cutter and Tie Hook. Ideal for fast inflation of 9" to 40" latex balloons. 34" H x 20" W x 20" Depth; Weight: 40 lbs. 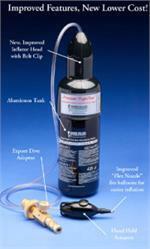 Temperature-controlled Cool Aire Inflator has two speeds and inflates latex and foil balloons. 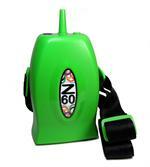 Z60 is a portable, rechargeable balloon pump for twister balloons. 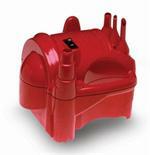 It inflates 160’s - 660’s style latex balloons in seconds and the high powered battery will run for 4 hours. Removable and adjustable shoulder strap included. **The ONLY digital inflator designed to run continuously without getting hot! Zephyr’s latex and foil dual inflator with 12-ft. extension hose features a built-in hanging hook for the foil inflator, plus it includes our hand tight connection and easy-read gauge.